This week’s song is might drive you crazy–eventually. But it has stood the test of time with my preschoolers. It’s originally a Raffi song, though there have been a thousand re-makes of it over the years. Well, maybe not 1,000, but I just checked and itunes has 29 versions. So, I’ve listened to most of them, the good, the bad, and the annoying, and I think that the version I’m recommending today has the perfect blend of energy and enjoyable listening for kids AND adults. I love this song for burning extra energy and for the smiles and silly faces that come out along the way. There is a slow verse in the middle, which only serves to make the high-energy finish more exciting. My preschoolers love to pretend that they’re sleeping during the slow verse and then jump up with renewed excitement for the finish. 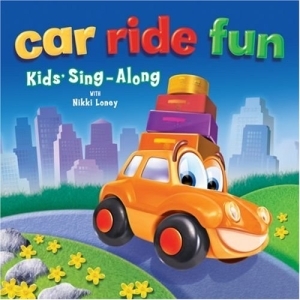 off the album, Car Ride Fun, by Nikki Loney. Find Shake My Sillies Out here on Amazon or on itunes. Share your thoughts on these songs for preschoolers or let me know how you like Shake My Sillies Out in the comments below!